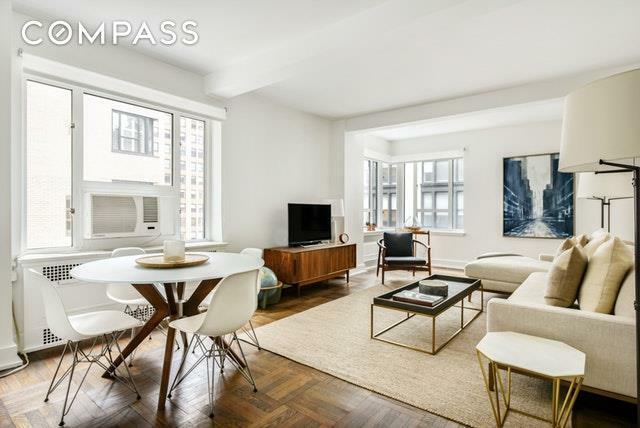 DECO DELIGHTWith a dramatic step-down living room, Apartment #9N is an oversized, 1 bedroom, 1 bathroom apartment that has been meticulously renovated. 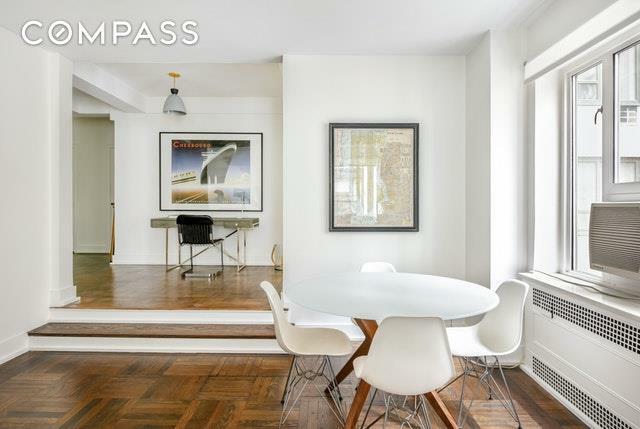 With both South and West exposures, the apartment is sun-filled throughout the day. The spacious entrance/dining foyer, living room with corner window, dressing area, abundant closets, high beamed ceilings, and oak parquet floors evoke a gracious lifestyle. 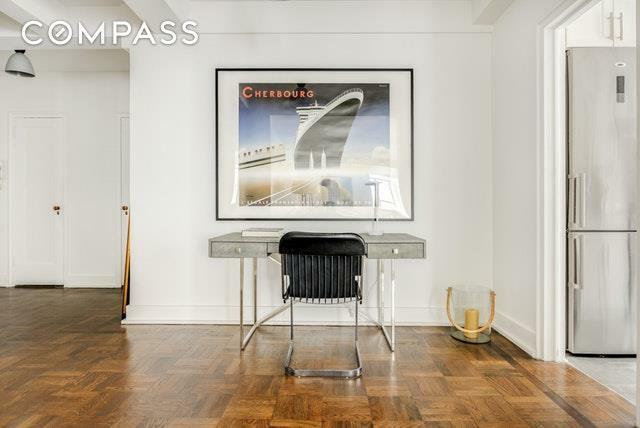 These prewar details are juxtaposed with the recently renovated windowed kitchen with marble countertops and backsplash, stainless steel appliances, and Bertazzoni oven. The jewel-box bathroom has Porcelanosa tile walls and floors, Toto toilet, and Hansgrohe fixtures. An exceptional opportunity for the buyer who appreciates attention to detail and desires a pristine, move-in condition home. Electricity is included in the monthly maintenance. 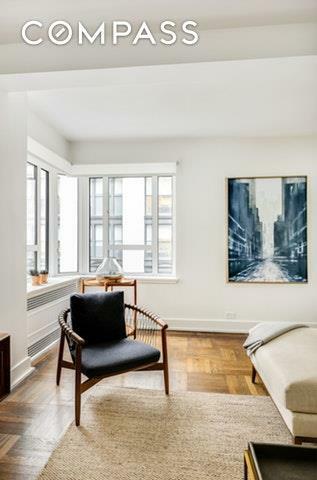 With a prime Murray Hill location, Goodhue House is one of the neighborhoods finest prewar full-service cooperatives. The building's long frontage on Madison Avenue is across from the very elegant former B. Altman building. Built in the late 1930s, this attractive 16-story building has a planted roof deck with impressive views of both the Empire State Building and the Chrysler Building. There is a full-time doorman and resident manager. The numerous amenities include a renovated lobby, gym, laundry room, bicycle and luggage rooms, and additional storage. The building permits pets and pied-a-terre ownership.